Slender and stylishly dressed, the artist Jerelyn Hanrahan seems better suited to wield a paintbrush than an electric chainsaw. A few brushes can be found in her Oyster Bay studio, but lately she’s been working more with heavy-duty machinery and collaborating with an auto body shop, a ship builder, a taxidermist and a concrete pourer. One day last month, she zigzagged on foot through the tiny hamlet, distributing posters rolled up like diplomas, each neatly tied with a blue or silver bow, to stores and historical sites that had been voted a “Pearl of Oyster Bay.” Months earlier, she polled residents door-to-door for their selections. 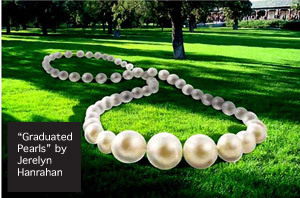 Her art project, “Graduated Pearls,” is an interactive community program that is to culminate this month with the unveiling of her creation, a large-scale pearl necklace covering an area that’s 40 feet long and 20 feet wide. Big enough to also act as a bench and a children’s play area, the artwork will be installed in Oyster Bay’s Theodore Roosevelt Park. Along with extensive fundraising, grant writing and other administrative matters, the project took two years. “Two years is actually a short run,” Ms. Hanrahan added, for a public art project. It’s hard enough trying to make a living as a painter or sculptor. This work adds extra layers of expense and uncertainty. Why would any artist want to do this? And yet, producing such works of public art is the mission of a small subset of artists who circumvent the usual museum and gallery route —though they’re not averse to indoor shows—in favor of winning funds, buyers or commissions for striking pieces that are meant to be displayed outdoors or in airy indoor spaces like lobbies or airports. Our world would be poorer without them. They’re part of a tradition that reaches back to the sphinxes of Egypt and other ancient eras, and forward through such icons as the Statue of Liberty. Muralists and graffiti artists also make public art—or, in the case of graffitists, sometimes mar it. 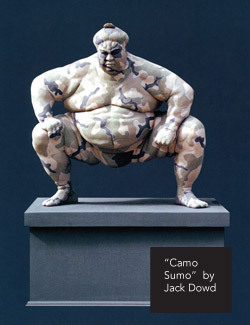 Depending on their approaches and where they are in their careers, today’s artists who make public works may be scrambling for their livelihoods—big sculptures are costly to produce and hard to place in revenue-producing venues—or happily secure that the pieces they make on commission are already bought and paid for by a governmental or other large agency and will be seen by millions of people. “What you want is for the world to see your work,” said Bryan Hunt, a sculptor who lives in Wainscott and has made pieces for the City of Barcelona, the Seoul Olympiad Park in Korea and the Coenties Slip Park, on Pearl Street near Water Street in Lower Manhattan. Though public art is only a fraction of his output, he captured a major reason cited by all the artists interviewed for what they do: It’s exhilarating to have thousands or millions of people see what you created, even if they probably don’t notice your name on a tiny plaque nearby. Even better, these aren’t necessarily the people who usually visit galleries or museums. Though Mr. Hunt makes plenty of smaller works himself using paint, plaster, clay, wood and other materials, when it comes to casting metal, he turns to Polich Tallix, a foundry catering to artists in upstate Rock Tavern. Its four-story-high main room is as large as a football field. That’s where his stainless steel ship was fabricated. Its base, made of glass, was cast in China. Though Ms. Hanrahan found her collaborators on the North Shore, Mr. Hunt’s international network isn’t unusual for those who make commissioned public art. In addition, an exhibition of Mr. Hunt’s work closed at Guild Hall in East Hampton on July 31, with six of the large pieces moving to New York City’s Park Avenue in September, where they’ll be installed with four more of his “Waterfalls” series through November. He hopes that his works will “grow on people, and create a memory,” as works like a Balzac statue did for him when he was young. Ms. Hanrahan wants her work to grow on people, too. She is not starving, but she’s still struggling in some ways. By gaining charitable tax-deductible status for her project, she made it easier for local businesses and individuals to donate services and money. She also received a $1,000 grant from the New York Foundation for the Arts and $5,000 from Oyster Bay Main Street Association. The project is complex and includes three smaller models she made, 18 to 30 inches in diameter, of fiberglass covered in resin with UV protection. A mason supply company owned by an Oyster Bay resident is donating concrete to make the pearls for the park, and a construction company is going to install it, using reinforced steel to anchor the piece. “A lot of the work is getting people to give you things for free. You have to get them excited about the project,” said Ms. Hanrahan, whose enthusiasm for her project seems boundless. Besides handing out her poster-diplomas that recent day, she also carried around a 30-pound pearl model from spot to spot. And she was about to make a video for an online site that gathers contributions for worthy projects. 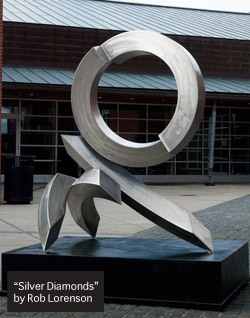 She was first inspired to make public art, she said, by an artist she met while living in Rome in the late 1990s. 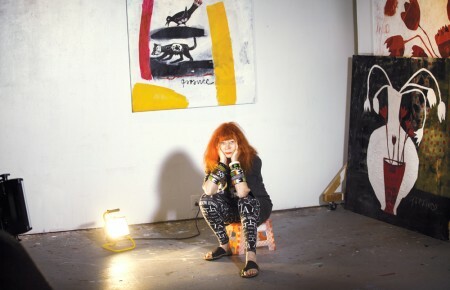 Her first big project, called “Gesture as Value,” involved ATM machines that disbursed decorated papers instead of cash, and traveled from Bern, Switzerland to Toronto to downtown Manhattan. She had various grants, including one from NCR, which makes ATMs. 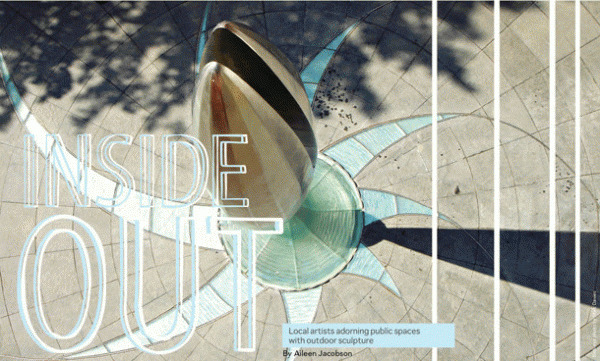 Making public art “breaks down the isolation” of being an artist. “It’s a great thing to broaden that perimeter of who will see it,” she said. “It’s exciting to have an impact on people’s daily lives.” After all her work on the pearls, she said, they can only stay in the park until November, when the space undergoes renovation, but she hopes to eventually sell them, perhaps to an owner of public real estate or a private collector. Though getting the pearl project done has been a full-time job, it’s not all she does. “You have to have a lot of balls in the air.” Curating is one source of income, as are teaching and selling her drawings and paintings at her gallery, Atelier. Donald Lipski, who spends his summers in Amagansett and resided for many years in Sag Harbor, has it easier. He’s gotten so successful that he’s been able to hire a project manager to do the administrative work that Ms. Hanrahan estimates she spends half her time on. He regularly wins commissions. He’s got a work going into the Sacramento airport this summer and is working on pieces for the San Diego Public Library, the Atlanta airport and the San Antonio airport, among other projects. His most easily seen work in New York is a chandelier he made in 2000 that looks like an upside-down olive tree with about 3,000 hand-made Swarovski crystals dangling on it. It hangs at the Lexington Avenue entrance to the Grand Central Market. Most artists on Long Island aren’t so fortunate. Steve Zaluski, who lives in South Copiague and has a studio in a light industrial building in Ronkonkoma that he shares with beverage vendors, printers, an electrician and other tenants, is probably more typical, sculpting every day but doing other things besides. His building is ideal for him, he said, because he uses an electric saber saw. “I make a lot of noise, but no one complains. They’re out in their trucks.” He usually sculpts in the afternoons, and performs as a musician and makes videos at events in the evenings. He’s sold his sculptures all over the world—Hong Kong, Tokyo, England, France, Germany, Israel and more—but sometimes he doesn’t get paid at all. “You have to work free as an artist your whole life,” he said. “It’s a very difficult way to make a living. Unlike other professions, they expect you to do a lot of it for free.” He’s often asked to donate work, he said, and he shows his pieces in places where he must bear the cost of transportation. 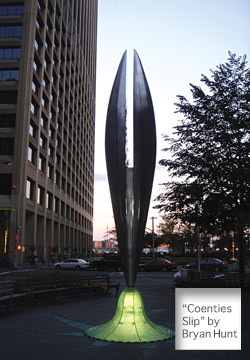 His large-scale works are usually made of bronze, stainless steel or aluminum. Some depict human figures while others are abstract, like his piece, “The Ring of Power,” that stands in front of Parkway Plaza, an office building in Westbury. 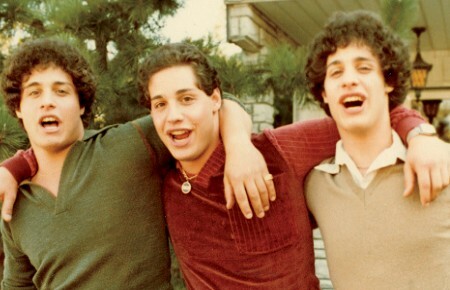 Although he received many corporate commissions in the 1980s and 90s, that market has dried up, he said. He wouldn’t give up his work, though. “I create art and music every day. I enjoy my life,” he said. One way Mr. Zaluski gets his work seen—and purchased by individuals with large lawns—is to show pieces at Long Island’s public art shows, including one at Mather Hospital in Port Jefferson. He donated a piece from a previous show to the hospital, a multicolored sculpture called “The Burning Bush,” and his jaunty 8-foot-tall aluminum squiggle, “Silver Jazz,” is in the current show. The 31st Annual Outdoor Sculpture Show at John T. Mather Memorial Hospital (on view through August 31) includes 45 works by 35 predominantly local artists, including a few hospital staffers. The artists must pay to transport their works to and from the hospital, and to pay for any insurance. About half the sculptures are on lawns and in a courtyard, and the rest are displayed in two lobbies, open to the public and free. All the works are for sale, with prices from $400 to $4,000 and 20 percent of each sale is donated to the hospital. “It started out small, but it’s been building up over the years,” said Stuart Vincent, the hospital’s director of public relations. Besides being a way for artists to make sales, he said, it “brings cheer to the patients and visitors.” Although a committee reviews the works, nearly all the entries are approved. 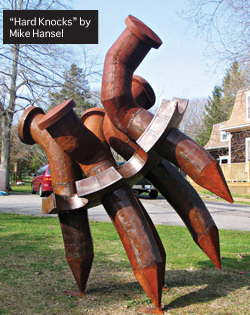 A newer show is the Sculpture Garden Exhibition at Brecknock Hall in Greenport. Now in its second year, the exhibition features 12 works by 10 artists, selected from more than 40 sculptures submitted (via images on CD) from around the world. Brecknock Hall is a restored 19th century mansion on the grounds of Peconic Landing, a not-for-profit organization that operates a retirement community there. The exhibition, presented by Peconic Landing and the East End Arts Council, is free and open to the public 10am-4pm Saturdays and Sundays through November 13. The event is also an economic boon to the area, said Patricia Snyder, executive director of the East End Arts Council. “We counted 1,500 people who came last year specifically to see the show,” she said. “A lot of people came and had a picnic. The grounds are gorgeous, and very suitable for sculpture.” Each artist gets a $100 stipend, help with installation and copies of a handsome catalog to market the sculptures, which range in price from $2,000 to nearly $40,000, said Dominic Antignano, Peconic Landing’s Cultural Coordinator. “In years gone by, artists would get commissions, but not so much any more,” said Ms. Snyder. Getting any kind of public funding is more difficult, she said, as grant money shrinks away in this dismal economy. In suburban areas, she added, commissions are even scarcer, though various organizations, like small municipalities and college campuses, try to provide showcases for sculpture. She particularly likes a project funded by the Town of Riverhead, spearheaded by former councilman Ed Densieski. It allowed artist Richard Anderson of Wading River to carve sculptures into the dock posts along downtown Riverhead’s riverfront in 2004.